Cody Garbrandt is the star of Trifecta Nutrition’s new video, which is featured on UFC’s Facebook page. Garbrandt does his training routine in the video, after which we’re shown some prepared meals, followed by his talk on healthy nutrition. Trifecta Nutrition is a relatively young meal delivery service based in West Sacramento. Its main goal is to remove the risk factor for diet failure, which is achieved by providing users with fresh and healthy meals. Urijah Faber, the founder of Team Alpha Male and a retired MMA champion, is listed as the managing partner on the official website. 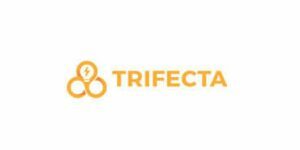 Trifecta Nutrition’s portfolio is divided into 5 excellent meal plans: paleo, clean, classic, vegetarian, and vegan. Additionally, the company’s à la carte menu offers even more control over your calories and macros. Your food is still completely cooked, but you will receive it in 1lb and 2lb containers (separated by food type), which you can portion however you like. Trifecta Nutrition offers only organic, non-GMO, gluten-free, dairy-free, and soy-free meals. The company never freezes its food and delivers it vacuum-sealed in refrigerated cases directly to your home address anywhere in the US.